You may not have a ton of followers, but you're never alone on Twitter -- as a new map makes strikingly clear. Crafted by data artist and Mapbox software developer Eric Fisher, the map uses publicly available "geotagged" tweets -- messages on the service that have the author's real-world location attached -- to highlight where the social network is most popular and give some sense of what its worldwide usage actually looks like. Fischer told The Huffington Post via email that this map goes "much further" than previous efforts, like this map created in partnership with Gnip, a social data company owned by Twitter. Fischer said his main interest in Twitter geotags is their ability to reflect the places in the world that people are most interested in. "Concentrations of tweets give clues about the relative attractiveness of places, and how other places are related to those places, that are not available from any other source," Fischer told HuffPost. 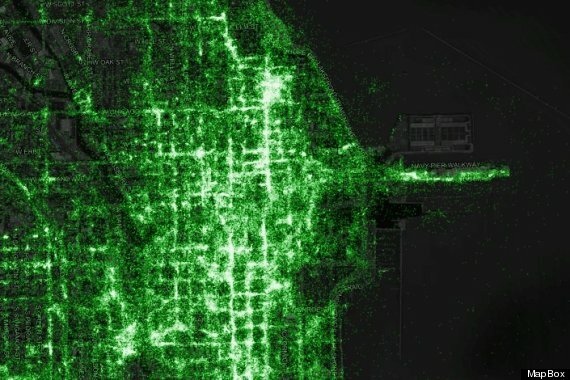 The map was created using data collected over a period of 3 1/2 years, and it shows 6.3 billion geotagged tweets in total, Fischer wrote in a post for Mapbox, a service that allows individuals and companies to create interactive maps. Fischer also noted that there are 10 million geotagged tweets every day, or about 120 per second. 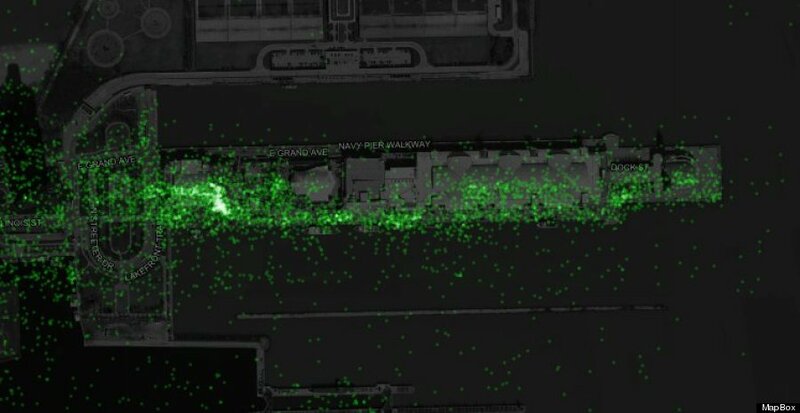 A spokeswoman for Twitter didn't comment on Fischer's map in particular, but did point to a recent project that used tweet data to produce real-time maps showing flooding in Jakarta, Indonesia. Fischer agreed that Indonesia is an interesting place for Twitter: He said use of the social network there is "dramatically higher" than it is in many other places around the world. The Wall Street Journal attributes the high usage to inexpensive smartphones that are available in the region, plus the fact that half of the country's population is under the age of 30.